The five sea turtles species whose ranges include the North American coast are Kemp's Ridley, hawksbill, green, loggerhead, and leatherback sea turtles. All of these are classified in the same taxonomic family (Cheloniidae), except the leatherback sea turtle which is the single extant species within family Dermochelyidae. Most have a global or near-global distribution, with the exception of Kemp's ridley sea turtle which is primarily found along the North American Atlantic coastline. All five species have experienced significant declines, though little has been assessed for the Kemp's Ridley turtle. The loggerhead is the most abundant of these species, with an estimated 68,000 to 90,000 nests annually. The hawksbill turtle is currently the most seriously impacted, as the population may have been reduced by 80% in the last century. All sea turtles are long-lived animals that may travel between continents during their lifetimes, and as a result rely on multiple habitats throughout their lives. In 2013 alone, 89 AZA-accredited zoos and aquariums reported spending nearly $3.8 million on chelonian (turtle and tortoise) field conservation. More than a third of the funding went towards the conservation of sea turtle species. Most sea turtle conservation, frequently conducted in collaboration with federal or state agencies ranging from the US Fish & Wildlife Service to smaller state departments, focuses on rescue, rehabilitation, and reintroduction, nests, tagging individuals, conducting health assessments, and participating in the National Oceanic and Atmospheric Administration's Sea Turtle Stranding and Salvage Network, and monitoring. 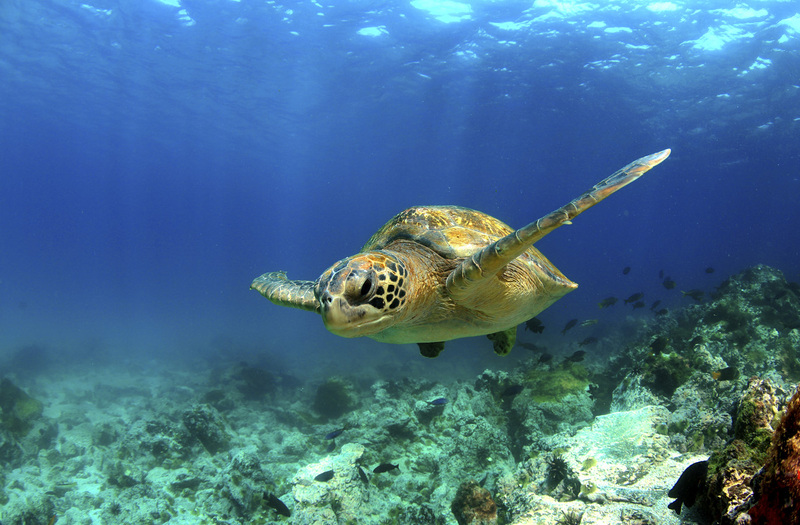 AZA institutions provide crucial support to field conservation partners such as the Sea Turtle Conservancy; a non-profit membership organization focused on sea turtle research and advocacy campaigns. As migratory species, sea turtles are susceptible to entanglement and incidental catch in fishing gear in all oceans. As the human population size has grown, so has the fishing industry. Some methods are particularly deadly to sea turtles and marine mammals such as longlines, gill nets, and trawlers. A second common threat is coastal development and disturbance of nesting habitats. Sea turtles return to shore to dig nests in sandy dunes and lay eggs, but degradation of habitat has seriously affected many of these species. Though fisheries bycatch and coastline habitat are common threats amongst all sea turtles, the species have other threats as well. The tortoiseshell trade has devastated the hawksbill turtle, as millions have been killed in the last century. In many parts of their ranges, sea turtles are harvested for meat or as fishing bait. Predictions indicate that the effects of climate change will also pose a serious threat for sea turtles, as for many other marine species. For more information about AZA SAFE and its commitment to sea turtle conservation, please contact SAFEseaturtle@aza.org.